Eleven years after Werewolf of London hit screens, filmmakers created 1946’s She-Wolf of London. Despite the similarities of the titles, the two movies had virtually nothing to do with each other, a fact that became even more obvious when I watched She-Wolf. Set at the turn of the 20th century, She-Wolf focuses on lovely young Phyllis Allenby (June Lockhart). She’s set to marry successful lawyer Barry Lanfield (Don Porter) but she starts to worry that she suffers from “the curse of the Allenbys”. Apparently fuzziness runs in the family, and when a boy gets killed near her home, she fears the worst. We also meet her “aunt” Martha Winthrop (Sara Haden), actually a former housekeeper for the Allenbys who acts as Phyllis’ guardian. They live in the Allenby estate along with Martha’s daughter Carol (Jan Wiley) and their housekeeper Hannah (Eily Malyon). Essentially She-Wolf deals with the “is she or isn’t she a lycanthrope” issue. Unlike Werewolf of London and 1941’s Wolf Man, we never see Phyllis transform into a beast. As such, the film becomes more of a mystery than a horror flick. We don’t know if Phyllis caused the crimes, and even if she did, we aren’t aware if she really is a werewolf or if she’s just nuts. Those aspects and a few others make She-Wolf moderately entertaining, though in a way, the lack of werewolf shots feels like a cop-out. She-Wolf was a cheap film that was filmed in less than two weeks, a ridiculously brief period even by 1940s standards. The absence of effects and makeup shots means that they could move more quickly and inexpensively. Still, I like that aspect of the flick if just because it brings something different. Granted, She-Wolf offers a very predictable plot, as it doesn’t take long to see where it will ultimately go. Nonetheless, by 1946 most horror films had become rather bland and redundant, so I feel pleased to see an effort to be a little unusual. I also think it’s fun to witness a female lead, as those were - and are - few and far between in the genre. Of the many movies in the “Classic Monsters” line, only three - She-Wolf, Bride of Frankenstein, and 1936’s Dracula’s Daughter - feature women in horrific roles. Even then, the Bride doesn’t really qualify as a star in her own film since she only appears in small parts of it. This makes the female-centered world of She-Wolf more appealing, though I admit it disappoints that Lockhart doesn’t get to play a full-out beast. It would have been interesting to see a different perspective on this kind of monster, especially from such a gentle and quiet personality. Actually, Lockhart becomes one of the best aspects of She-Wolf, as she provides a strong performance as Phyllis. She makes the character believable as she questions her sanity and her fate. Lockhart maintains a nicely melancholy tone that suits the role. Overall, She-Wolf of London feels like an unspectacular affair, but I find it to be moderately enjoyable. It lacks the overt scares of many other horror flicks and it seems rather predictable as a whole, but it still provides something different that I like. 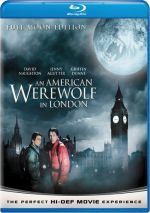 She-Wolf of London appears in an aspect ratio of approximately 1.37:1 on this Blu-ray Disc. Though not a great image, the movie usually looked good. Sharpness seemed crisp and detailed. Very little softness appeared along the way, as the movie consistently appeared well-defined and accurate. No instances of jagged edges or moiré effects appeared, and I saw no edge haloes. Black levels seemed to be deep and rich, and shadow detail was clear without excessive thickness. Contrast gave the movie a nice silvery sheen, and print flaws remained modest. I saw occasional specks and marks, but these never became dominant. A cleaner transfer would’ve gotten a higher grade, but She-Wolf largely looked strong. The film’s DTS-HD MA monaural soundtrack was more average, but it still seemed fine for its era. The mix betrayed a moderately trebly tone that favored the higher register, and this impacted most strongly on dialogue. Speech came across as intelligible and clear but showed brittle, edgy tones at times. Effects seemed to be cleaner, though a little distortion impacted a few domains. Music actually showed some reasonable dynamics at times, and background noise caused no concerns. This felt like an adequate mix for its age. How does the Blu-ray compare to the DVD version from 2001? Sound seemed a little clearer, though not by much, as there was only so much that could be done with 72-year-old stems. Visuals got the bigger improvement, as the image looked significantly cleaner and tighter. Though the DVD wasn’t bad, the Blu-ray became a notable step up in quality. In terms of extras, She-Wolf includes a trailer and nothing else. Not much about She-Wolf of London excels, but the movie offers a fairly entertaining fable. I like its female-centered take on the genre and it creates a good effort. The Blu-ray brings us fairly good picture as well as acceptable audio and minor extras. She-Wolf still works as a horror tale. As of fall 2018, She-Wolf of London can’t be purchased on its own. 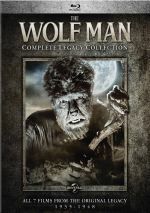 It can be found as part of a seven-film “Wolfman Complete Legacy Collection”. In addition to She-Wolf, we find The Wolf Man, Werewolf of London, Frankenstein Meets the Wolf Man, House of Frankenstein, House of Dracula, and Abbott and Costello Meet Frankenstein. 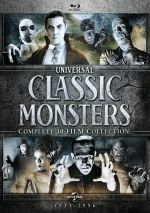 In addition, London comes in the “Universal Monsters Complete 30-Film Collection”. It actually packages the Wolfman set mentioned above with similar compilations for six other Universal Monsters.